One of the fastest growing segments in the auto industry is the compact sport utility vehicle. Smaller, versatile and driving more like a sedan, these new vehicles lack a certain sportiness and panache that you can find in several compact sedans. 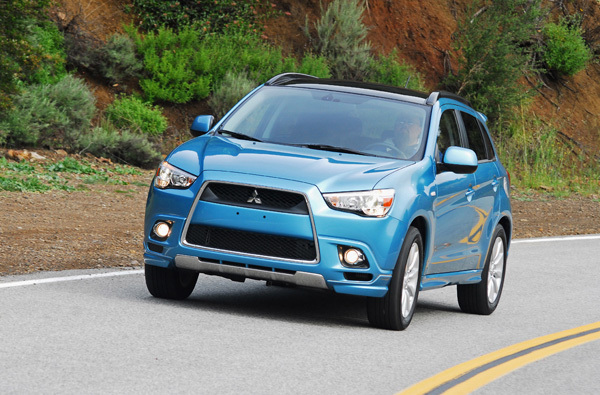 For 2011 Mitsubishi has changed the look of its bigger sibling, the Outlander SUV, and designed a shorter, sleeker and more stylish crossover sport utility, the all-new Outlander Sport. With its taut, muscular sheetmetal, the Outlander Sport is visually a breed apart from the rest of its compact crossover competition. The new Outlander Sport’s front fascia is inspired by jet fighter air intakes that adorn the company’s legendary high-performance Lancer Evolution. 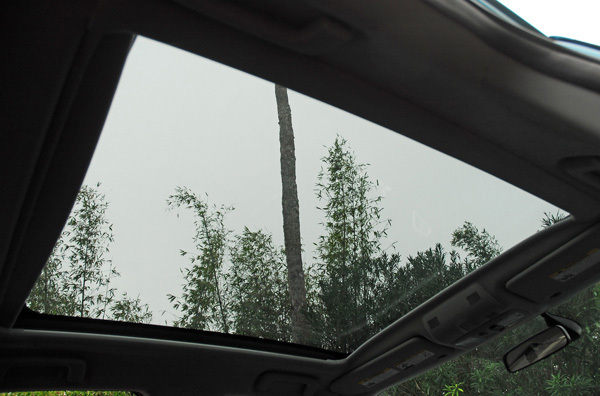 You’ll also notice the unique HID lamp clusters that Mitsubishi says cast a wider coverage than the Lexus LS. The lower air-intake features foglamps and a chrome lip in the middle that adds a dash of spice to an otherwise very boring segment. The chiseled bodywork is not merely an aesthetic exercise-its smooth, flowing lines, tall beltline, and rear spoiler all combine to give this stylish new model one of the lowest coefficient of drag, 0.33, of any compact crossover it its class. From the side you’ll see steeply raked A-pillars, pull-out door handles, a deeply cut rising line, low profile roof-rack, a real aluminum fuel filler door, flared fenders with front fenders made of dent-resistant recycled plastic, and deeper lower side extensions as part of the front, side and rear aerokit. 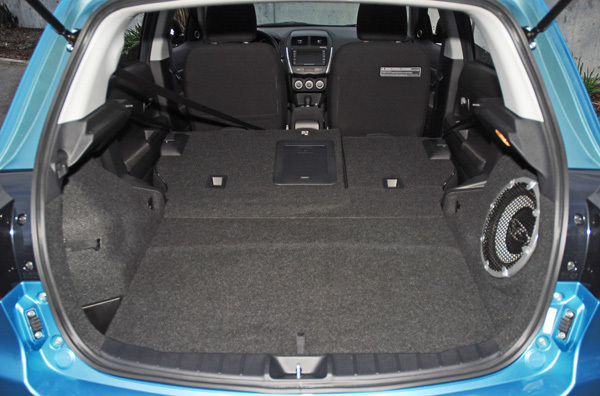 The rear shows wraparound LED lamps clusters, a hatchback door, a bold bumper, a single, 3in. wide chrome exhaust tip, and a center diffuser to help better manage airflow out the rear. For this crossover application, the company’s tried and true 2.0 liter 4B11 engine with its aluminum block and cylinder head, innovative MIVEC (Mitsubishi Innovative Valve Timing Electronic Control) continuously variable valve timing system and normally-aspirated configuration are accompanied by new features including resin coated pistons and smoother surface camshafts for reduced friction and improved fuel economy. Also new are a higher efficiency alternator and electric power rack & pinion steering system that reduces weight. This small potent powerplant generates 148hp at 6,000rpm and 143lb.ft. of torque at 4,200rpm. 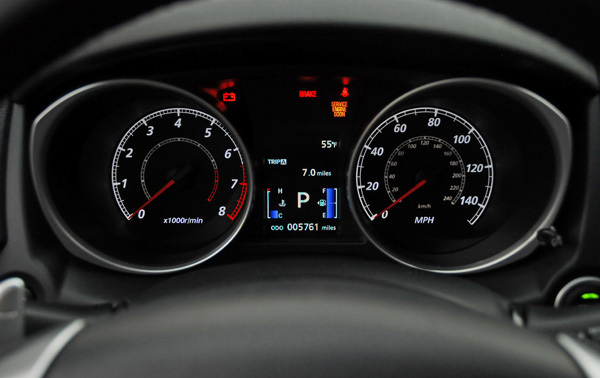 The majority of the engine’s torque is produced across a wide powerband of around 2,200rpm all the way up to just below it redline of 6,500rpm. 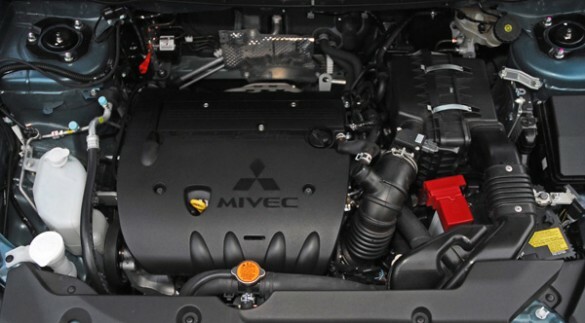 Mated to the 2.0 liter in-line four banger engine in the SE model is the Sportronic Continuously Variable Transmission (CVT) that features design updates that not only help to improve fuel economy and reduce emissions over previous iterations of this innovative Mitsubishi transmission technology but also improve driver feel when manually shifting via the magnesium paddle shifters mounted behind the steering wheel. In normal driving on flat roads, the CVT’s shift schedule has been set to provide a good balance between fuel economy and dynamic performance. But should you encounter a winding road that just begs to be driven with greater zeal, the CVT switches to a more aggressive manual sports mode that mimics a 6-speed gearbox and improves the responsiveness of the unit’s pulley hydraulics. 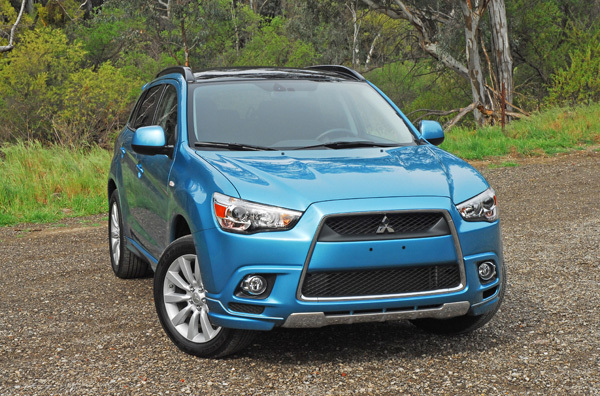 Borrowed from the mid-size Outlander, the lightweight, electronically controlled 4WD system is an option that came with my SE model. It has had further design improvements for its fitment to its smaller crossover sibling. The system’s power transfer unit (PTU) makes use of a lower viscosity oil to lessen parasitic drag and contribute to fuel economy improvement, while torque distribution calibration has been improved for all road surface conditions (snow, sand, ice) leading to enhanced stability and traction. On the center console is a large rotary dials for 2WD, 4WD and Lock that locks the rear axle when under severe road conditions distributing 60% of the torque to the rear wheels to pull you through. With an overall length of 196.1in. 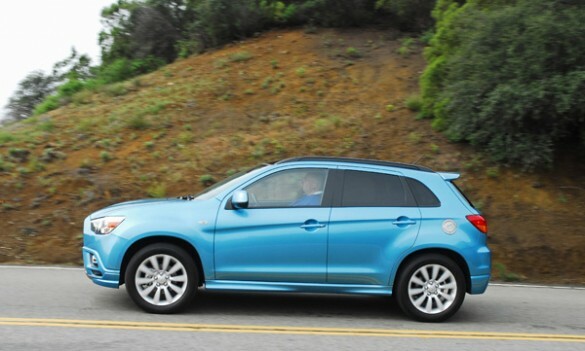 versus the Outlander’s 183.7in., the all-new Outlander Sport is more than a foot shorter than its larger brethren wile much closer in width, 60.7 vs. 70.9in. and height 64.2 vs. 66.1in., respectively, while sharing an identical wheelbase of 105.1in. 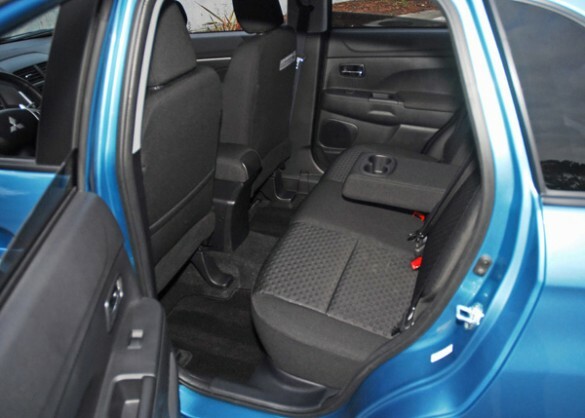 These dimensions give the Outlander Sport great stability when driving straight-ahead at high speeds and when cornering. 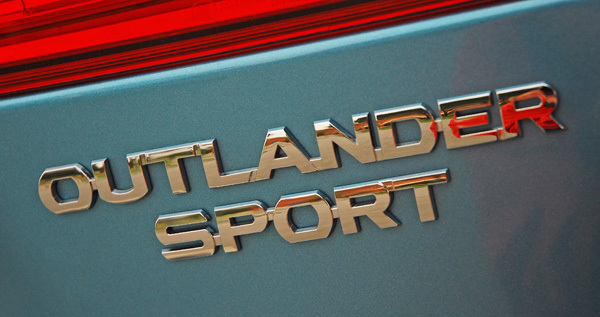 Both the Outlander and Outlander Sport share the same full-independent suspension setups-a MacPherson strut layout in front coil springs, and a 22mm stabilizer bar. The rear trailing multi-link setup includes coil springs, gas-charged shocks and an 18mm stabilizer bar. 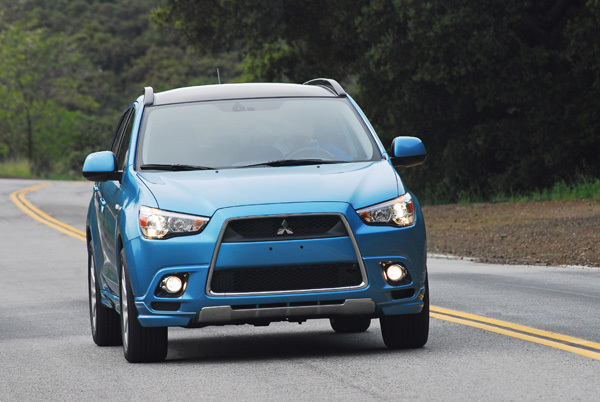 The Outlander Sport receives some revisions to its design that provide a more optimal degree of ride comfort and stability that better suit the Sport’s more compact dimensions. 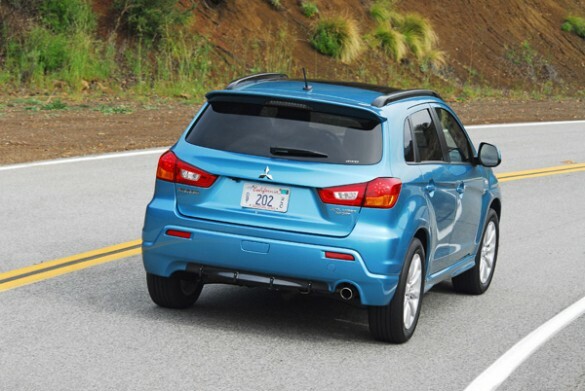 Major revisions to the Outlander Sport’s chassis include cross members to support the new electric power steering and a redesigned rear half of the platform (floor pan) to accommodate a new, more aerodynamically shaped muffler and high-strength steel for increased rigidity while reducing weight. 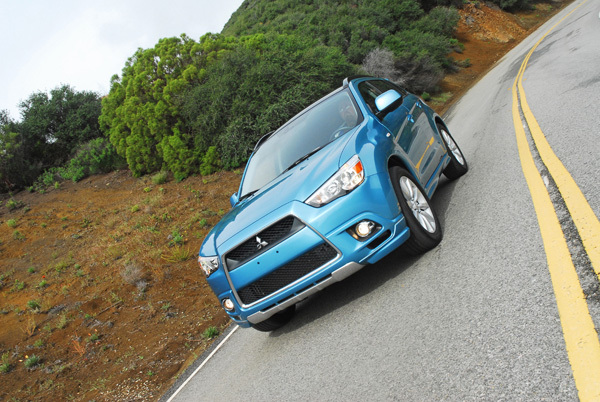 Quickly slowing the all-new Outlander Sport SE AWD down from speed are power-assisted, 4-wheel disc brakes. Up front are 11.6in. vented discs clamped with dual-piston calipers and 11.9in. solid discs clamped with high-friction brake calipers in the rear. Standard ABS and EBD assure you of control and the correct braking bias when driving over slick pavement or in a severe braking maneuver. My test Outlander Sport SE AWD rode on Goodyear 225/55R18in. Eagle LS all-season radial tires wrapped around 18X7in. multi-spoke alloy wheels that filled up the flared fenders. Be it a quick drive to the grocery store or a long interstate trip, both you and your passengers of the Outlander Sport are treated to a refined ride in comfortable surroundings and with a host of welcome features-all of which are made more impressive when considering this handsome and capable AWD crossover’s low base price of just $22,995.00. On the open road the suspension offers a satisfying solid ride character that feels like that of a high-dollar luxury sedan while the electric power steering communicates excellent feedback from the road with a great on-center feel with quick reaction to your inputs. 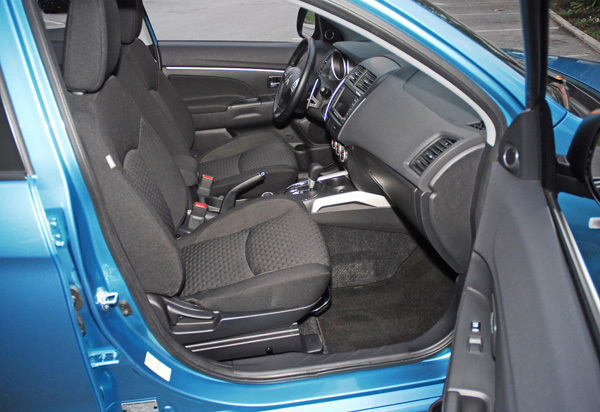 The fabric seats are comfortable for all-especially the front seats as they feature good torso and thigh support-while there is ample headroom for even taller (6ft.) driver and front passenger. 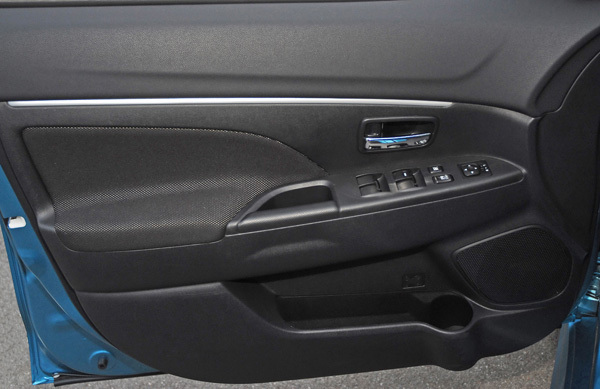 Inside, you and your passengers are treated to a quiet ride thanks to spray-on sound deadening materials on the floor, atop the cowl, sound absorbing material in the headliner and the addition of low-noise tires. Standard equipment in the Outlander Sport SE includes AC with a pollen filter, cruise control with steering wheel mounted controls, tilt-telescope, leather-wrapped steering wheel and stick shifter, chrome surrounding the shift gate, power windows/door locks, remote keyless entry and a 140-watt AM-FM-CD/MP3 audio system with steering wheel controls and 4-speakers, digital sound processor, equalization control and speed compensation volume and FUSE hands-free link system with USB input jack, instrument cluster with big, easy-to-read speedometer/tachometer/trip computer, three big dials for the climate control system, heated front seats, air-vents under the front seats to bring heated/cooled air into the rear, self-dimming rearview mirror, pull-down rear armrest/dual cupholders/center pass thru, heated/remote controlled sideview mirrors, auto on/off headlamps, rain-sensing/variable-speed wipers/washers, illuminated dual vanity mirrors, floor mats, dual map lamps, push button start/stop, grab handles above each door, 60/40 split rear seatback for versatile cargo carrying ability, 12-volt accessory outlets (2), a center console with dual cupholders, padded armrest and dual-tiered storage. My loaded Outlander SE came with these optional features-super HID headlamps, in-dash 6-disc CD/MP3 changer, panoramic glass sunroof with adjustable LED mood lighting, exterior sport trim package, piano black center console and shift panel overlay, a 40GB HDD navigation system with music server and real-time traffic and a booming 710-watt Rockfort/Fosgate 9-speaker audio system with a 10in. subwoofer. Standard safety systems include advanced dual front airbags, front seat mounted side airbags, side curtain airbags, driver knee airbag, active stability control, traction control, tire pressure monitoring system, 3-point safety belts for all 5-seating positions including front pretensioners/load limiters, height adjustable front seatbelt anchors, 5-seat headrests, latch system for child seats, engine immobilizer, hill start assist, front/rear crumple zones, and steel beams in each door. 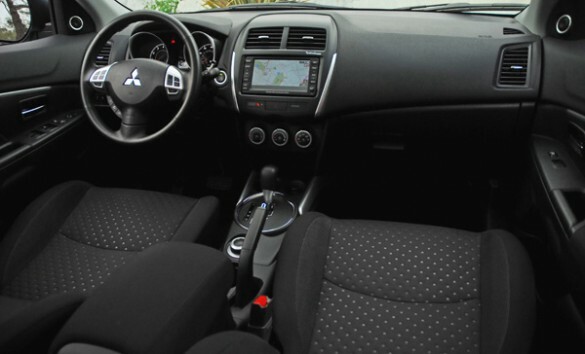 The all-new 2011 Mitsubishi Outlander Sport SE AWD doesn’t skip a beat at leading the new compact crossover utility vehicle segment with bold good looks, plenty of power, performance, interior room and amenities plus the latest in safety system for you and your passengers.